To the outside world, he has it all. A thriving career. A loving husband. And a face that the American public fell for by the millions, on a reality show that inadvertently saved his life. But behind the shine of celebrity, behind the easygoing nature, a crippling truth fills Julien with pain and self-loathing. It's a truth that he fights to overcome daily with the help of his husband, Joel Priestley, and now their boyfriend, Robbie Bianchi. But unlike Priest, Robbie doesn't know what he's helping Julien to fight. He doesn't know what Julien did all those years ago. And with the anniversary of his sister's death fast approaching, the time for explanations is running out. And thus the question: Will the princess be able to forgive the prick as the priest once did? Only time will tell. Robbie..Julien..Priest.. (i.e. Ella) Do Not Disappoint. I thought Tate and Logan were the Only Couple. 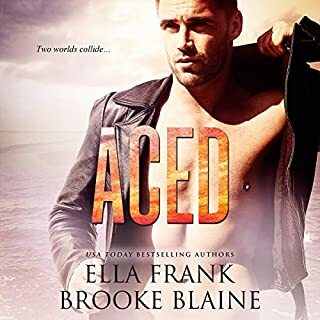 and they certainly are at the top of my list..but this series is very intriguing...poignant and sensuous.. Ella has proven to be a master dreamweaver..she has set a standard that only a few achieve in MM Romance..insightful..sophisticated...intelligent..heart wrenching..and warming..glorious.. I am a voracious reader..I appreciate Ella's unique characters and how she effortlessly gets you involved..her style is anything but formulaic!! I can see that just like Logan and Tate..Robbie..Julian and Priest are going to be reread..relistened to Again and Again..because these stories are just that good!! ps Go Charlie David!!! excellent character interpretation!!! Confession-I already read the book before the audio was available. I didn't think it could be better, but Charlie David brought this book to life! He does a phenomenal job in voicing Robbie, Julien, and Priest. You feel the emotion! Ella is a great writer to make you feel her written word, but the audio takes it to a whole other level. 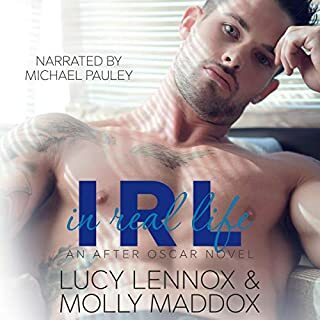 I will read next book Confessions: Priest first, but there is absolutely no doubt that I will also be purchasing the audio! Oh what a ride of emotions Ms. Frank takes us on, as we delve deeper into just who Mr. Julien Thornton is and what/who it is that molded him into the person he is today. There’s a lot of pain and guilt that he’s been holding onto. Not only do we discover the cause of Julien’s heartache, we’re starting to get a better understanding of Mr. Joel Priestly as well. Confessions: Julien is more complex, more emotional than Robbie’s book, as the bond between Robbie, Julien, and Priest deepens. They’re really beginning to learn how to navigate this new relationship, especially Robbie, and the part each one of them plays in it becomes more apparent. I love how comfortable Robbie has become- he’s truly found exactly where he’s supposed to be. Julien and Priest just make my heart melt when it comes to their feelings for Robbie. They are so caring and patient with him, I cannot even handle it. The way they show him, and not just tell him, how important he is to them is so touching. Not to say there aren’t any bumps in the road, because there definitely are. There’s still a lot that these men have to handle, have to deal with, still so much to discover about themselves and each other. This book definitely brought the feels. As anxious as I am for Priest’s book I’m already sad thinking about having to say good-bye the these three. Charlie David did another wonderful job bringing these 3 incredible characters to life! He really brought out all the emotions in this book, and it was a bit of an emotional overload at times. Really well done. The narrator did a hell of a good job waw I am so glad I listened to the audio cause it just made the characters come alive in my mind and the story line was just amazing and I was finally glad to hear julien story and how these 3 men made it work for the better of their relationship and I can’t wait for priest. Love love loved it Ella you are a queen. Loved it but I want more!!! I didn’t want it to end!!! Ella, I know you will keep these characters going in your next book. Confession: Priest...perhaps!! I am totally in love with Robbie! I fell in love when you first introduced him with Logan and Tate. Charlie David has absolutely mastered this character. I want Robbie to be my next boyfriend but I know his heart belongs to Julien and Priest! Thank you for bringing so much joy to my life!! Charlie David+French=Heaven. He knocked it out of the park again with this narration. This is book 2 of the series. At this point we know a little bit more about the MC's on a surface level but haven't really fleshed out their individual back stories. In this book its Julien's turn. The story line is centered around why he is the way he is. We learn more about how him and Priest first met. We also see what a vital role Robbie plays in their relationship. The book ends with a transition/cliffhanger to the next book. Warning - your ears might combust at the 50% mark! 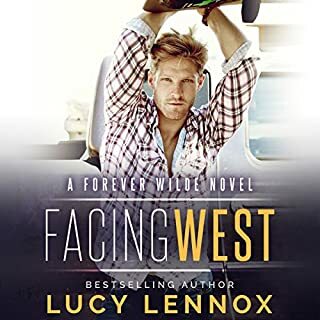 Because, damn that 50% mark - hot enough to melt your eardrums, your kindle, your phone, whatever you are using to read or listen to this story. This book focuses on Julien and his tragic past, why he was given the name "The Prick" on the cooking reality show he was on, and also really solidifies the relationship between Julien, Priest, and Robbie. I love how easily Robbie makes his way as a part of Priest and Julien's lives. He never feels like a third wheel, he feels like it has made them all complete by being together. I love this series, I love these men, I love how cool Tate was with everything, and I loved Robbie and Priest in the shower together. Charlie David is doing a great job with this series, his voices are perfect for these three! To say that I am a tremendous fan of this series does not quite cover how I feel about it. The combination of Ella Frank's words and Charlie David's voice is just wonderful. I love how he brings each character to life and makes the story even more enjoyable. I usually have to listen to this while I'm away from other people because I find myself smiling and blushing and I just can't help it. 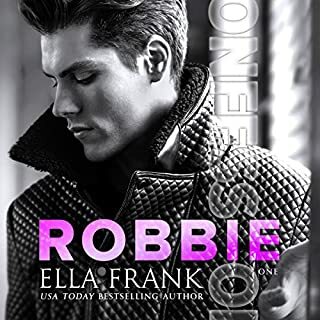 The romance between Robbie, Julien and Priest is what I've always looked for in an m/m/m book and Ms. Frank does not disappoint! I cannot wait for Priest's book to come out on audio and to hear Charlie David bring him to life as only his voice can! Excellent story with brilliant narration. I was pulled into the book and didn’t want to leave until the end.